You’ve probably tried searching keywords such as ‘web design’ and ‘web design Adelaide’ to find quotes from agencies. But the quote could be much lower than the actual price you’ll end up paying. The price of building a website comes down to how much energy and planning will be put into your website. Without a brief, the quotes received from agencies will vary. This is because each web design company will take a different approach to developing a website. Although, generally the larger the budget, the more customised a site will be. Agencies may not go through all the phases, which is why websites range from $500 to $10,000 or more. To make it easier to figure a rough estimate we’ve added a breakdown of what goes into a website and how much you may pay for it. The design’s version of one size fits all. This option involves a website template that has already been created and just needs content added into it. A great option for a small budget if the template fits your needs, but keep in mind that future modifications may end up costing more than if you had chosen a more customised website. This option is slightly more customised than a stock template and good for a small business with a small budget. A custom design can be a much better fit for your business and content display, although the design company may not spend much time (if any) on the planning phase. These websites are created with design and functionality in mind. The designer will work with the client to plan the site and display the content that increases the user experience. The design process helps to create a site that increases conversions. This process can also include a strong strategy to emphasise the call to action. This price range offers advanced functionality to fit your needs. This option is best for a larger site, especially if the site needs a lot of data added. The design of this site will be very involved in a strong strategy to create the best possible site that is optimised for search engines, has a great user experience, and has a design with conversions in mind. This design is meant to make sure the site puts its best foot forward. 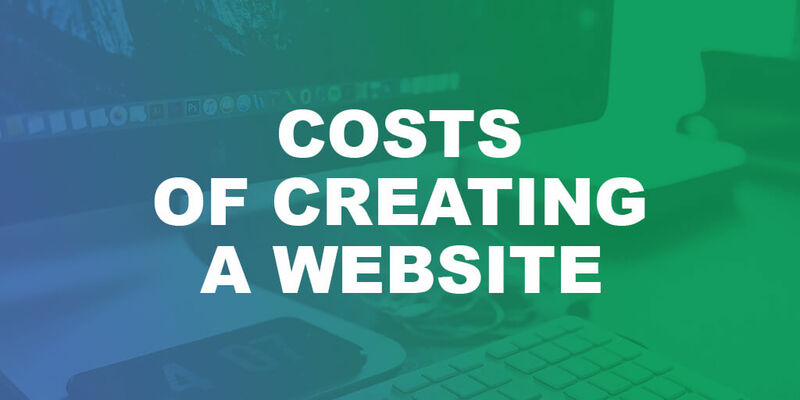 The price of a website can vary depending on your business’ needs and how much work the agency needs to put into your site. The most basic website will be budget friendly, but there may not be a design or strategy process. The one-of-a-kind option leaves a web design putting its best foot forward, although can be too expensive for most budgets. The customised bracket offers strong strategy and design meant to increase conversions, although may not be a good idea for a big website.